"...I was thirsty and you gave Me drink." This blue, light, container is as simple as it is effective. Guaranteed to last more than 10 years, the dirty water that's poured through the top of the filter makes its way through gravel and sand and comes out clean. pure. safe. 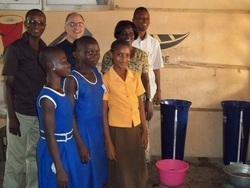 Recently, our church sent out a team of people from our congregation to Ghana. Together they made the long journey and stayed for 10 hot days with Josephus. and all for one purpose: spreading the gospel. 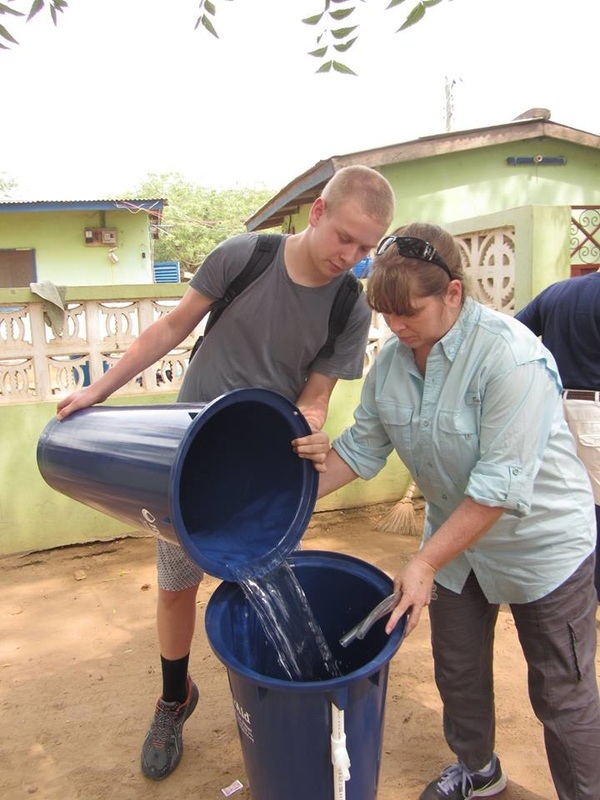 Distributing water filters just happened to be one way of doing it. 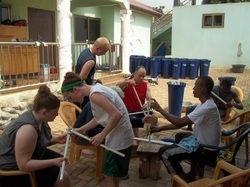 Now our team is back home and we're already planning their next trip back to Ghana. We're praying more lives will be saved. We're praying more souls will be saved. And we're praying more people will go. He's the manager of our distribution center in Ghana. As a pastor, husband, and daddy of one small girl, he stays busy spreading the gospel to the thirsty souls of neighboring villages. Without Josephus, we wouldn't be able to enter Muslim villages with news of the Gospel. And we wouldn't be able to give them clean water. We believe the best way to show those precious souls Jesus' love is by giving them clean water. But how can you help? Nearly 3.5 million people die each year from water, sanitation, and hygiene related diseases. Most of whom are children. The Hydraid filter, the most effective filter in the world, reduces waterborne diseases drastically. It's also the tool that introduces Josephus and his team to neighboring villages. And then they get to introduce them to Jesus. If you're interested in this ministry and want to find out more how you can help, please contact us. We would love to get you involved. Or if you would like to learn more, click here. We're already living out this verse - won't you join us?